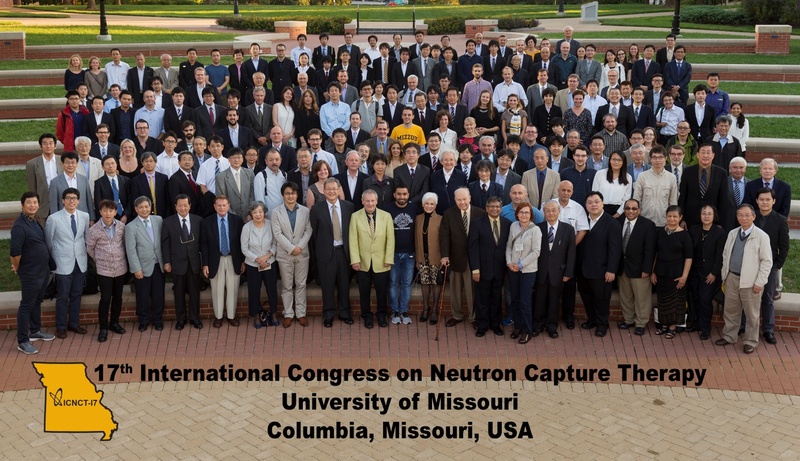 The XVII International Congress on Neutron Capture Therapy, ICNCT-17 was held on October 2-7th, 2016 at the University of Missouri in Columbia, Missouri, USA. More than 150 physicists, physicians, biologists and chemists from all over the world participated in the conference which was organized by International Society on Neutron Capture Therapy, ISNCT. Among the invited speakers were: Rolf Barth from The Ohio State University, Silva Bortolussi from The University of Pavia, Andres Kreiner from Atomic Energy Commission of Argentina (CNEA), Akira Matsumura from The University Tsukuba and Shin-Ichi Miyatake from The Osaka Medical College. Participants presented their researches e.g. on neutron generator technology solutions and on more selective boron carriers. During the conference there were plenary sessions, discussion panels (physics, biology, chemistry, clinic) and three poster sessions. 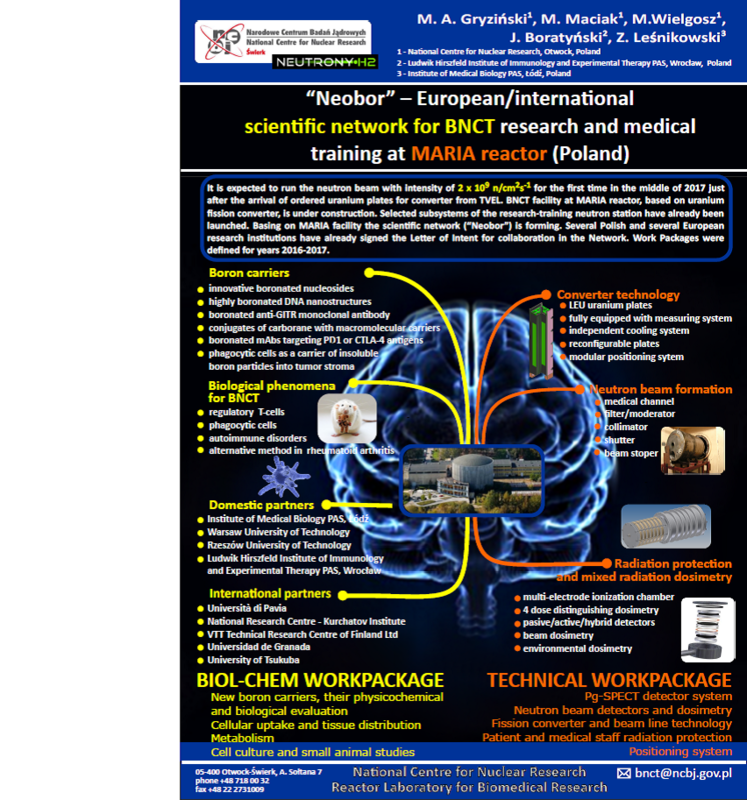 During the poster sessions the scientists: Michał Gryziński, Monika Wielgosz and Maciej Maciak from the National Centre for Nuclear Research in Świerk, introduced researches on the BNCT in Poland, ongoing projects, future plans and newly established international scientific platform called “Neobor” (poster under the title “Neobor – European/International Scientific Network for BNCT Research and Medical Training at the MARIA Reactor”). Due to the rich experience of the other participants of the Congress there was an opportunity to gain a knowledge about the BNCT and to broaden the cooperation within the Neobor platform. It is worth mentioning about consortium: Sumitomo Heavy Industries, Stella Pharma and Kyoto University Research Reactor Institute. The institutions are currently in the middle of the second phase of clinical trials using cyclotron based neutron source. In the next step generators will be installed in the oncological clinics and BNCT will became another important tool in radiotherapy. This shows how dynamic is the development of neutron generators for so called accelerator-based BNCT (Ab-BNCT). It indicates also a development in other fields such as beam dosimetry, radiation protection, treatment planning system, patient positioning etc. where “Neobor” participants take part intensively.